Soft woods like pine, and soft wood materials like composition board, plywood, and MDF, can be delicate and will split and splinter easily without the right hardware. 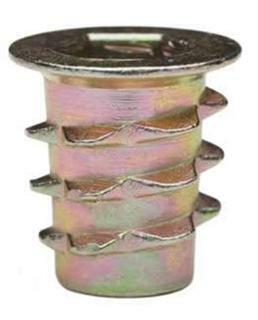 E-Z LOK’s threaded inserts for wood protect these materials and provide strong machine threads for fastener insertion. Our soft wood inserts are a perfect solution for any application where assembly or disassembly could lead to thread erosion, stripping, or other types of damage to the material. 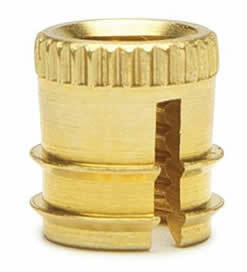 Available with internal thread sizes from #6 to 3/8, plus M6 and M8. Most sizes are available in multiple lengths, making it easy to find the right soft wood insert for your application.l and tools. We recommend that you test your particular application before ordering. We gladly supply free samples.